I love it! 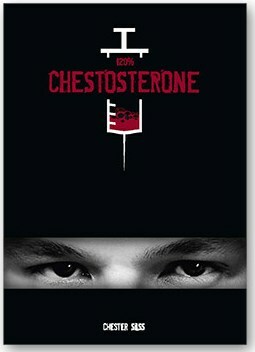 Chester has released a collection of his personal routines, that I find to be some of the most practical pieces of commercial mentalism available. After thirty years of performing, I have learned that some creations are good for reading, while others are good for performing. Chester's contributions fall into both categories! I regularly use at least two of the bits in his book and have been inspired by others. More than one method could have been sold separately for quite a few coins, and the buyer would have been more than satisfied; yet Chester has graciously made everything available in a single tome. If you enjoy clever mentalism, but more, if you want to actually perform clever mentalism, then this is a book you should really have." Docc Hilford, Author, Creator and Professional Mind Reader ?